Accessibility. Benches are conveniently located all along the Totem Trail. Most buildings and trail systems are accessible for those with mobility impairments. Rangers are available to describe the grounds and exhibits upon request. The Visitor Center and Fort Site The visitor center is handicapped accessible, and a wheelchair is available for public use. The gravel-based, wood chip-covered trails in the park are accessible with many types of wheelchairs. Designated handicapped parking in the main parking lot is available. Russian Bishop's House The Russian Bishop's House second floor has stairs only, but a video program on the first floor tells the story and describes second-floor features. Assistive listening, audio description, and open captions will soon be available for the Russian Bishop's House video. 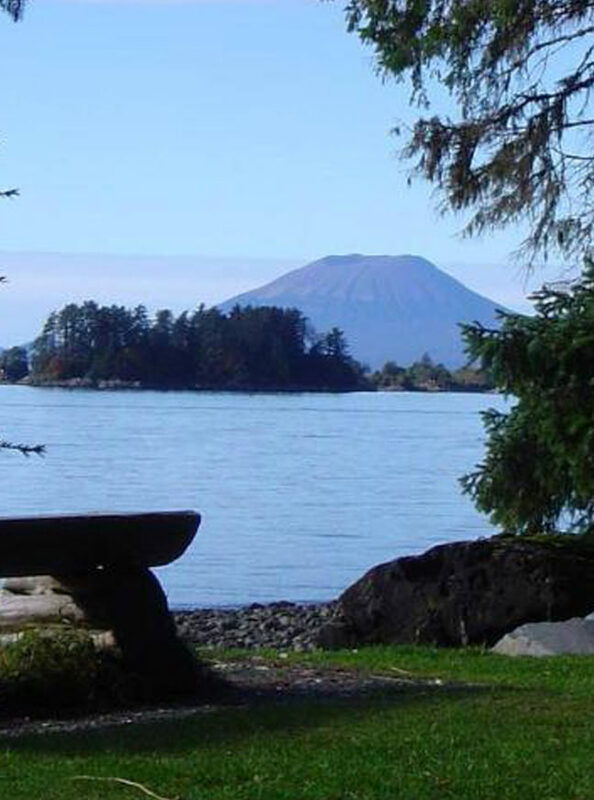 For more information, call the Sitka NHP Accessibility Coordinator at (907) 747-0150.